6 images. 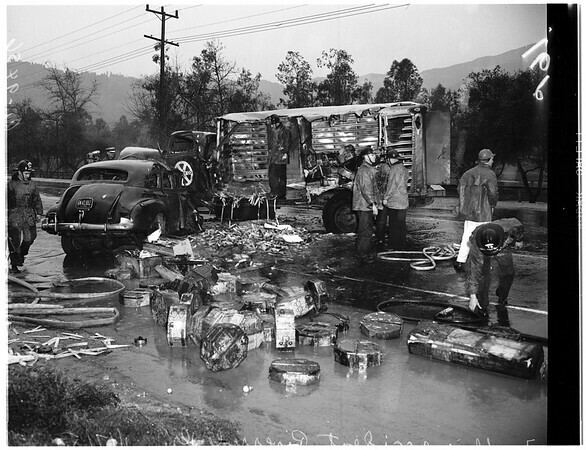 Traffic accident on Riverside Drive near Roger Young Village, 17 January 1952. Woman burned in car. Sleeve reads A-9456:.